Skin Care Resource Guide » Tell Your Blackheads Who is Boss! Tell Your Blackheads Who is Boss! 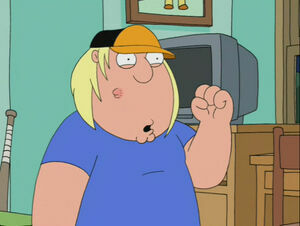 Remember what happened to Chris on Family Guy when he got a huge zit? He had to battle it to the death so that it could no longer control his life. Unless you want your blackheads to get out of control – you have to take action to get rid of them now! Okay – your blackheads may not actually talk to you and tell you to do evil things, but who can think rationally when your skin looks so terrible? Blackheads are a very common and stubborn problem for both adolescents and adults and it takes time and a consistent skin routine to clear them up completely. Blackheads, or “open comedones”, are follicles which have a wider opening than normal follicles. When these follicles become clogged with sebum and dead skin cells, a chemical reaction happens which gives them a black appearance. Improper cleansing is a major cause of blackheads along with the use of facial products which contain oil. Skin Rx Clinic recommends Extractor Kit #1 which contains a Double Loop Extractor Tool and Antibacterial Wipes or the Wire Extractor which can help you remove blackheads from your skin without scarring or causing more pimples! Please take our advice and treat your blackheads. We really don’t need a bunch of crazy people walking around blaming their misdeeds on their bad skin!